Was I ever excited! I had bought tickets to The Beach Boys’ 50th Anniversary Tour for my husband’s birthday. 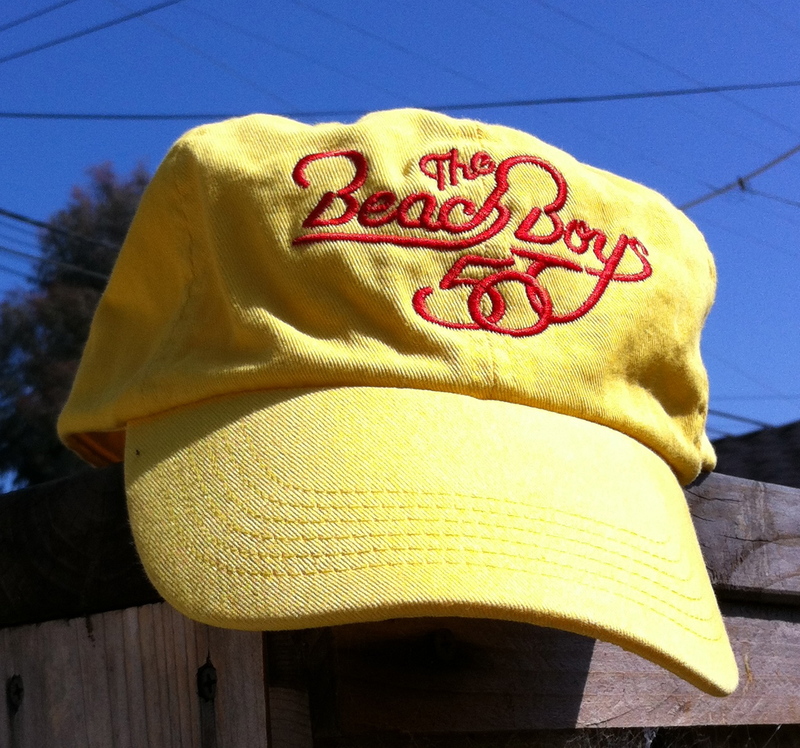 He played in a band back in his day and the Beach Boys are still one of his all-time favorite groups. Growing up I always wanted to live in California instead of Schenectady so I have always loved them too. We had been looking forward to this for weeks.When the day of the concert finally arrived, I was coming off a really bad virus and he was headed straight for it. Although neither one of us dared to say it out loud, we both knew for a nickel we would have acted like old farts and stayed home. Fortunately, we had a small window of head and stomach stability and were able to rally for the evening. There are huge chunks of San Diego county I’m not familiar with. Apparently, neither is Google Maps. I have a basic mistrust of internet directions since more than once I’ve been led astray. My husband, who worships all things technological, is convinced any fault in these matters is solely mine. Let the record state that he printed off the directions to the concert venue. Ha! The google gremlin decided this would be a good time to mess with him for a change and sent us 30 miles in the wrong direction to a Cricket Wireless store instead of the Cricket Wireless Amphitheatre…..Hello! Not to worry. My husband comes from a family who habitually waited in a parking lot for 30 minutes until Eccobelli’s Italian restaurant opened for dinner. Thanks to this good training we had plenty of time. What we did not have were directions. I pulled out my phone and realized having been preoccupied with puking the day before I had neglected to recharge the battery. I had very little power left and the phone could “not access” driving directions. All the not so smart phone offered was a map with two little bubbles an undisclosed number of miles apart and a couple of street names. Don’t you wish you could have been riding in the car with us? We arrived (finally), shook off our aggravation, and pumped ourselves up for some great surfing songs in the warm California sun. Only the sun hadn’t poked through the marine layer all day and it was freezing. And windy. And Cricket is an outdoor stadium. We bought a blanket and some alcohol. Concerts provide great opportunities for “people watching” which is one of our favorite activities. We were not disappointed with this part of the show. The Beach Boys unite the generations and we saw everyone from young children ruling their parents, to teens without nearly enough clothes on for the weather, to some really old, craggy California dudes with thinning ponytails. This kept us entertained while we shivered and felt like crap. Time dragged on and on. It began to feel like we had been waiting forever and I started thinking the whole thing had been a bad idea. The people we were watching ceased to be amusing. The boy next to me was eating something greasy covered in cheese. It looked a lot like my vomit from the day before. I started longing for home and bed. Then the stage lit up with a pop and excitement swept through the arena. And there they were. Brian Wilson, the tortured musical genius, who hasn’t played with the Beach Boys in years, Al Jardine whose voice is as clear and strong as ever, and Mike Love who is Southern California personified. We forgot how sick we were feeling. We jumped up to sing and dance which warmed our limbs and the classic harmonies warmed our hearts. It was an amazing concert. The band played all the songs we came to hear. For an evening, we were one and all, young and carefree. The image of a little surfer girl became the great equalizer. When I hear songs from my youth, for a moment I am transported back in time. Like the rest of us Boomers, these musicians are not young anymore. But to see them so energized in doing what they love is inspiring. It reminds us that we still have a lot of living and loving left to do…..even on days we feel like crap. My husband was quite sick by the time we got home. He spent most of the remainder of the weekend in bed. At some point, he managed to drag himself out to give me a hug and thank me for the birthday gift. Then he climbed back into bed, glancing with a nod and a smile to his guitar, which had been sitting in the corner for far too long, gathering dust. Love this recounting of the Beach Boys concert. Also LOVE that you write a blog…..so up with the times! Thanks Karyn. Glad you enjoyed the concert as well.